The universe of independent research on China has grown much larger in recent years, as can be seen from the contents of this new e-book. 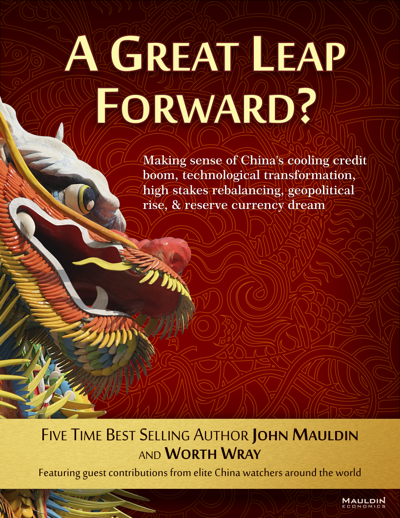 John Mauldin and Worth Wray have pulled together a good number of commentators and China watchers, among whom are some friends and partners in crime in Beijing and Hong Kong. My employer Gavekal is also well represented, with a piece by our CEO Louis and one by my colleague Ernan Cui. My own piece is on China’s exports and its New Silk Road ambitions. There’s a wide range of views about China represented in the book, including some I disagree with, so it should make for a good and varied read.